Looking back at last year through my Instagram feed puts everything in perspective. I realized there were some truly lovely moments indeed. January was the usual decompressing from the holiday. In February I attended several one day classes. The first being a painting course in which I walked away with a portrait of a flamingo. The other course was learning to concoct lip balm, bath bombs and lotion. The month ended meeting Tiffany Pratt who I continue to fan girl over to this day. In March I signed the lease for my shop, Lifestyled. An early Birthday trip took place in Palm Springs in March. My two oldest and dearest friends (our Mom's were actually best friends before we were born) and I rented an entire epic house for this adventure. There was delicious food, bingo, and margaritas poolside. April was an important Birthday for my father. Then came May which marked an important Birthday for me. The start of my Birthday month was spent in Seattle watching a two night Magnetic Fields show at the Moore Theater. The Magnetic Fields are my favorite band and I haven't had the opportunity to see them in at least a decade. My friends and family spoiled me all month long. My actual Birthday weekend took me up to Vancouver. More celebrating continued back home with a unicorn piñata and unicorn Birthday cake. In June my cat Morrissey turned sweet 16. Also in June I saw my childhood crush Corey Feldman perform mere feet from where I stood. At the end of June I saw the musical version of Romy & Michele's High School reunion. Followed by a reunion with a couple of dear friends that live in LA but flew up to Seattle for the weekend. We did all those touristy things one does with out of town guests. Most importantly visited the gum wall, which I actually had never experienced myself. July found me in Seattle again with several friends attending the Yayoi Kusama show at the Seattle Art Museum. In August I was back in Seattle seeing another favorite band, Belle & Sebastian, at the Paramount Theather. 2017 was indeed the year of epic shows. Then a few days later I was back in Seattle for a Mariner's game. August also included an annual visit to the fair and a screening of La La Land at the outdoor cinema. The end of August included the epic eclipse and a visit from out of town family. In September Labor Day weekend brought about the preview of my brick and mortar shop Lifestyled. Which is currently scheduled to open on a grader scheme in March of 2018. In October my beloved and only Aunt passed away unexpectedly. The grieving process continued through to the end of the year. Also though on a somewhat lighthearted note in the light of my loss, a photo I took of a bag of Angie's Boom Chicka Pop Candy Corn flavored popcorn got noticed by Angie's themselves. Not only did they send me a giant box of their popcorn, but they shared the photo across all their social media. November included a low key Thanksgiving. At the start of December I took a cookie decorating class and ended the month getting ill with a horrific stomach flu. Luckily I was well enough by New Year's Eve to have a lovely night in with the girlfriends I went to Palm Springs with in March. Looking ahead there's a couple of exciting trips already on the books for 2018. A long overdue trip back to Savannah is happening in March. Then of course I'm already looking ahead to my Birthday month of May. Tentative plans have me in NYC to watch Mean Girls the musical with my Birthday week twin and dear friend. So here's to more memories, documented, as always, on Instagram. What does one do when you're snowed in for a week? Use snow as the back drop for numerous Instagram pics, naturally. I'm back from my friends epic destination wedding in Oaxaca, Mexico and ready to dish. You know when you need a vacation from your vacation? This was one of those trips in the very best of ways. My friends, Emily and Nick, had a group of 60 of the coolest, most talented, funny, and clever friends and family present for their nuptials. It was also one of those experiences where you bond quickly with your fellow travel mates because you're together day in and day out for a week. To make a sweeping statement about the region, Oaxaca is know for their mole, mezcal, embroidery and black pottery. But honestly that is just the tip of the iceberg. The cultural is so rich and vibrant. I'm already plotting my next trip back. The highlights of the trip, beyond the wedding, were the sights and experiences we had inside the city proper and in the outlaying villages. Which I'll delve into soon. Oh and there was also a celeb spotting in Oaxaca. Not by me unfortunately, because that was the one time I decided to call it an early night. But the rest of the group bumped into Adrian Grenier at a dive bar. Apparently he was in town tasting mezcal. So this was just a taste of Oaxaca, I'll circle back around and talk specifically about the food and detailed adventures next time. Also, make sure you follow me on Instagram, @HissAndTell, for more pics from Oaxaca. In a weeks time I'll be on a flight heading south to Oaxaca, Mexico. The highlight of the trip being a dear friends wedding. Beyond the wedding festivities, there are so many amazing sights and experiences to take in while in Oaxaca. Let's start with their food. Oaxaca is known for their multitude of mole sauces and abundance of incredible street food. Then there's the mezcal and grasshoppers, oh, my! 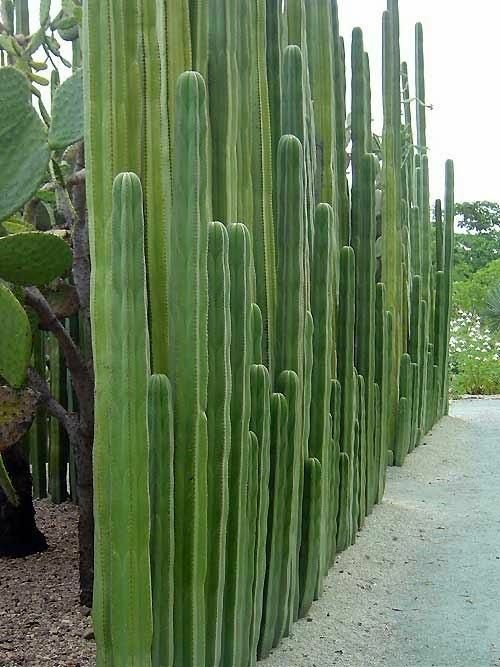 My obsession with cactus has me excited beyond belief to experience Oaxaca's botanical gardens. The city is also known for its black pottery and textiles, which will likely be where some of my pesos end up. Many articles I've read about Oaxaca tout Hierve El Agua, a petrified stone waterfall, as one of the most stunning sights in the area. Along with the waterfall there's a naturally formed infinity pool nearby. Eeek! Can you tell I'm excited about my impending trip? If there's anything I must not miss while in Oaxaca, please do let me know!